Aizawl: National Deworming Day was observed in Mizoram’s capital Aizawl and all the other seven district headquarters with Albendazole distributed to all the students and children in the Anganwadi centres. State Health minister Lal Thanzara said that 96 per cent of students took Albendazole in February 2017, the last round of deworming being undertaken since last year. 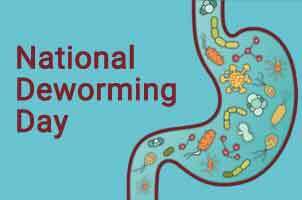 National Deworming Day has been observed to ensure eradication of anaemia among children aged between one to 19 years. A recent study conducted by the National Centre for Disease Control found out that soil transmitted helminth prevalence among the children in the state was 51 per cent.